Having investigated the fate of microplastics in different wastewater treatment processes, scientists in the US found that most plants are not designed to fully remove the small litter particles. Microplastics are tiny particles (<5 mm in size) that arise from the degradation of larger plastics in the ocean as well as direct release from common household products such as toothpaste. Their full potential impact on aquatic ecosystems is still unknown, but they can be ingested by small organisms and may release harmful chemicals. 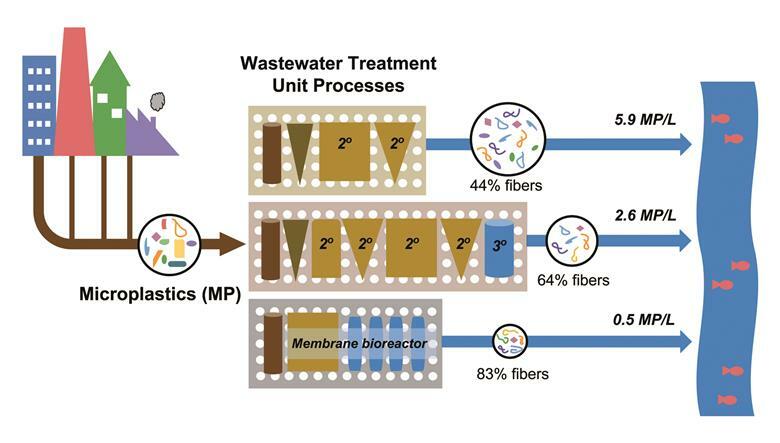 Melissa Duhaime and colleagues from the University of Michigan now compared the effectiveness of wastewater treatment plants using three different clean-up methods.